Our #1 Best Sellers, appropriate for every event. 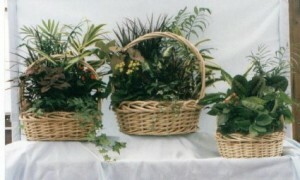 Beautiful assortments of freshly potted indoor plants, easy to care for and offer years of enjoyment. Air Plants or Tilandsia are all too popular nowadays. Easy to care for, great for decorating. These small and medium plants arrive in hanging glass orbs, styles may vary. Assorted indoor green and flowering plants freshly potted for years of beauty. Send a basket of blooming color with this beautiful Azalea Plant from HIGHLAND FLOWERS. Seasonal availability. Plants liven up the room and are wonderfully enduring gifts that show how much you care anytime of year! Your local flower shop, HIGHLAND FLOWERS of Vernon, NJ can help you choose the perfect indoor plant variety for anyone or any occasion. With just a little TLC, your gift of live plants can flourish and bring continued enjoyment year after year. Browse our selections for identification of tropical and exotic plants, including colorful Bromeliad and dramatic Dracaena, as well as traditional favorites, like the easy-to-care-for Pothos, Philodendron, etc. Many plants are available same day, we may have to substitute with a similar plant for same day or next day orders if the specified plant is not immediately available. Send a living message today with a plant from HIGHLAND FLOWERS.